Invest Plus gives you a facility to manage the share buyback transaction in this module. Scrip Name Select scrip name that you buy back. Demat account Select demat account from you buy back scrip. Qty Enter qty of buy back. Receipt Detail Select receipt type like, bank,cash or other. Account Select receipt account name. 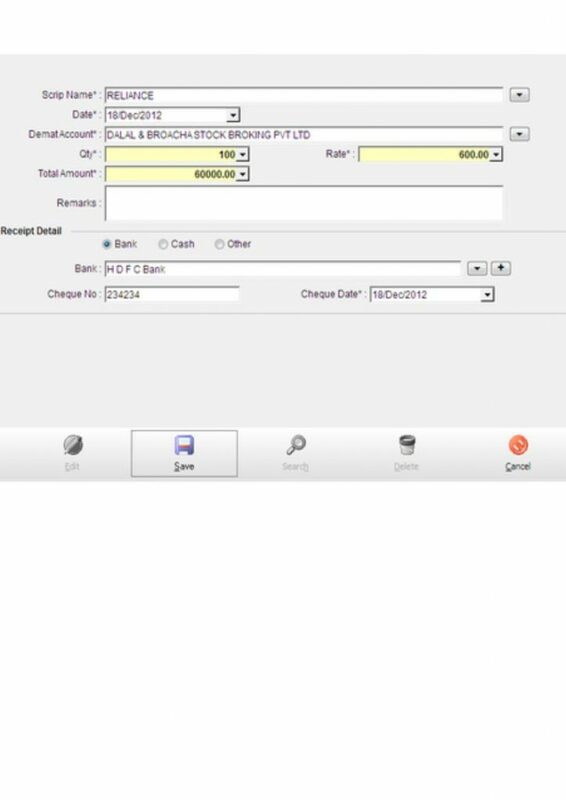 Chq Date/Date Enter date of transaction.